Is Yours Activated? 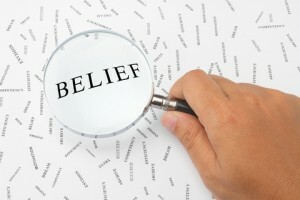 I am talking about your belief factor, your faith! There are several words that all convey the same message, i.e. : faith, belief, certainty, etc. We are just at the beginning of a brand new year and for so many, you are faced with challenges that you don’t know how you are going to get out of. I want you to take full advantage of your ability as a co-creator with God and begin to activate your faith on a new level this year. Make this declaration with me. This year is a phenomenal year! I have declared that 2012 is the year of the “B.I.G. L.E.A.P.” (Blessed In God [by] Living Energetically, And Authentically with Purpose and Passion). Your desires are seeds, when cultivated with thought, will yield you a harvest in your physical world. Don’t give up on your desires no matter what! Expectation: Once you are sure about what it is that you want to see manifest, you have to expect to see it show up for you. Expect your needs to be met. Expect to take leaps of faith this year. Expect to grow spiritually. Expect to prosper. Let’s raise the bar this year and take a B.I.G. L.E.A.P. !